Are you looking for a firm that specializes in window replacement? 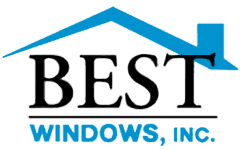 Darien, IL property owners trust the team of professionals at Best Windows. For more than 15 years, we’ve been providing window installation services, in addition to other services such as renovations, roofing, siding installation, patio creation and deck building. So how do you know if you need replacement windows? The most serious problem with old windows is that they tend to be very drafty, which results in decreased energy efficiency since your heating or cooling system must work over time to maintain a comfortable temperature. To identify window drafts, you can use a stick of incense or an extremely fine feather. Slowly and gently run the stick of incense along the edges of the window frame and the area where the panes of glass meet. If there’s a draft present, you’ll see the feather or incense smoke fluttering in the breeze. You may also notice that your carpeting, rugs, upholstery and drapes have faded due to sunlight exposure via your windows. A majority of new replacement windows feature low-e glass, which filters out ultraviolet rays to prevent fading. They also reflect infrared rays of light. Many older windows are difficult to use too. Some may be difficult to lift; others may require a prop to keep them open. You should be able to open your windows with ease and you shouldn’t need to prop your windows. Some older windows don’t feature locks, which can compromise a home’s security too. It’s always wise to opt for locking windows for all windows that open on the first floor of your home (and ideally on the second floor too). When you install new Energy Star replacement windows, Darien, IL residents will enjoy the added benefit of tax incentives thanks to the federal program that rewards those who opt for energy efficiency home improvements. If you need a top installer of replacement windows, Darien, IL homeowners can call the pros at Best Windows! Our company is fully licensed, bonded and insured to provide our Chicago area clients with optimal peace of mind and confidence in our services. In fact, we offer a low price guarantee! We won’t just match competitor prices; we’ll beat those prices by ten percent or more! We invite you to call the Best Windows team for a no pressure, no stress price estimate for your replacement windows and installation services. Call us today at 708-204-2446. 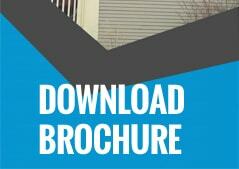 Visit https://bestwindows.net/ for more information about window replacement Darien IL.